This post is titled big yawn because its how I feel right now. It has been an exhausting few days. Mostly I’ve been studying but I also went on a glorious 5.5 mile run yesterday. It felt so good to get out and on a run. As you can tell, things have been hectic. 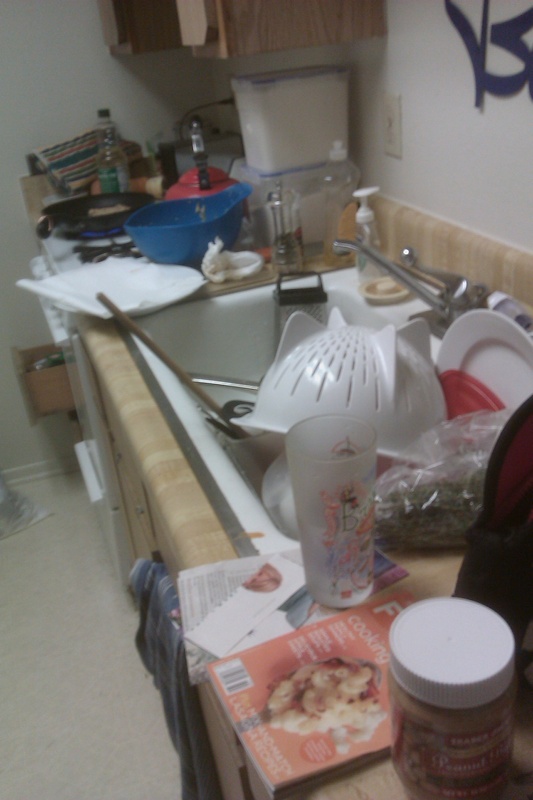 That is one destroyed kitchen, hence why there has been no truly blog worthy food. 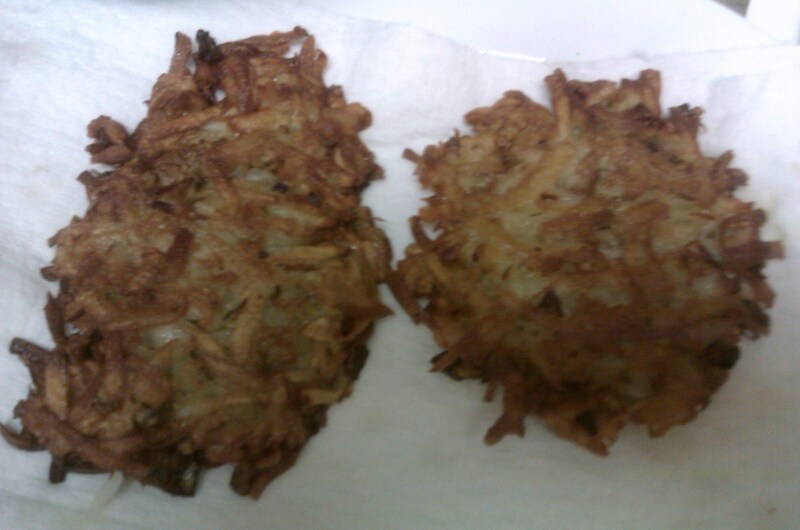 Yesterday I finally got it together to cook something blog worthy: Potato Latkes! It is Hanukkah after all and while I am not Jewish, I can always get behind a fried potato. This is actually a recipe I made several times pre-blog. Its an oldie but a goody. You start by grating russet potatoes with a cheese grater. I do it with the skin on because I’m lazy like that. 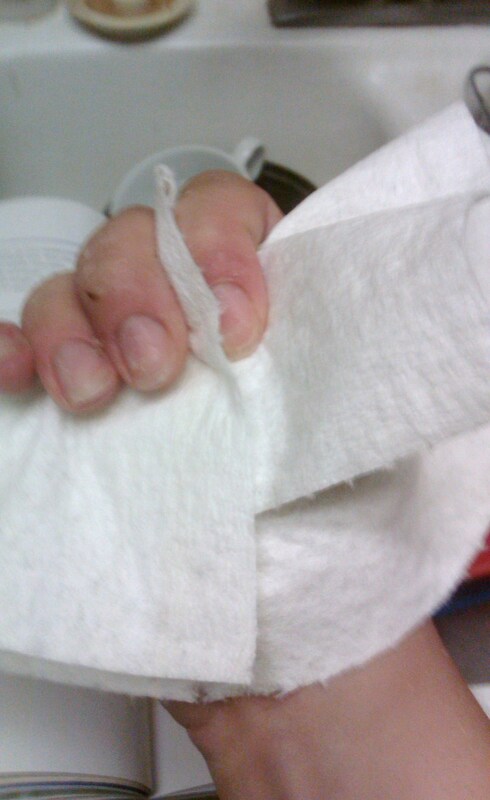 Oh, and you might want to be careful because if your not you will end up with a cooking injury. Apply pressure and keep moving. Once you grate your potato ( I used two medium potatoes, it made 6 pancakes) use a paper towel to absorb the moisture. Then add 3 tablespoons of flour, 1.5 teaspoons of baking powder, two eggs, onion (half), thyme, salt, pepper, and garlic powder. 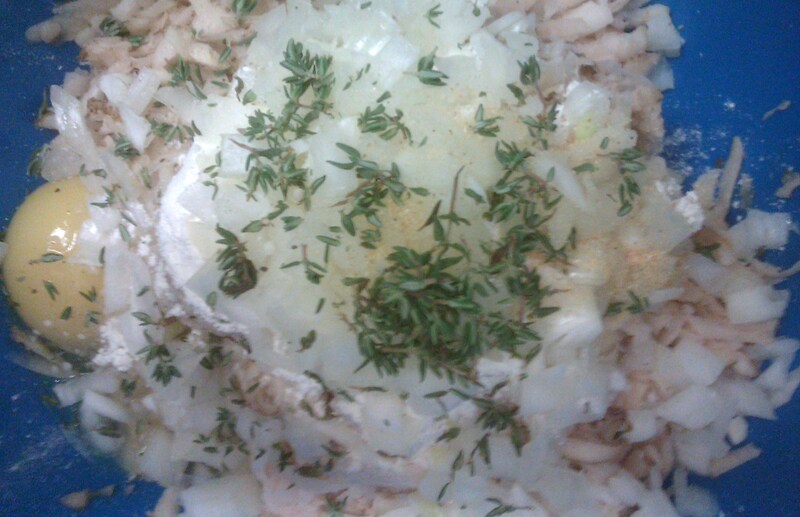 For the salt, pepper, garlic powder and thyme I just eyeballed it. And then we mix, and I like to mix it with my hands. Dirty, dirty. After mixing the egg/potato mixture you need to get your pan ready. I used canola oil to cook the latkes, but I imagine you could use something else. I heat the pan to medium heat (you don’t want to burn the potatoes) and let them go, checking occasionally until they are lightly golden on one side. Then flip. 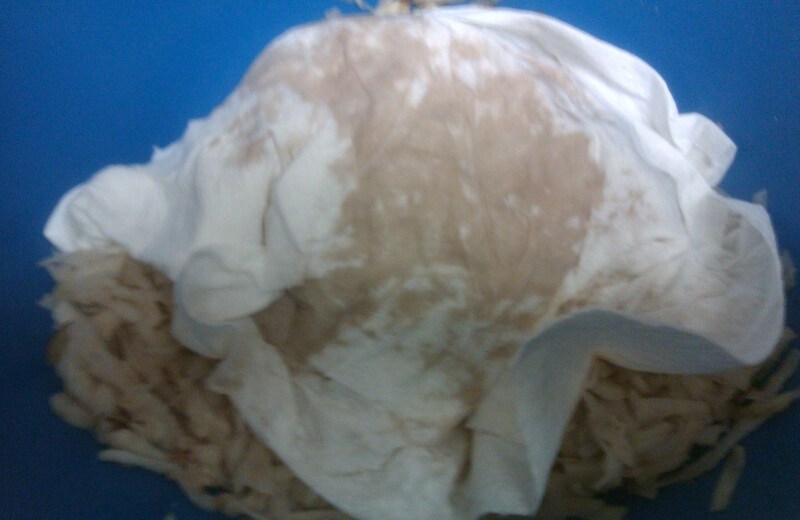 Once they are done let them rest on a paper towel to absorb the oil. Ah they turned out so pretty. Perfectly fried on either side. I cooked the rest and then served myself up a plate! I added apple sauce on the side. There had to be something semi healthy about this meal! 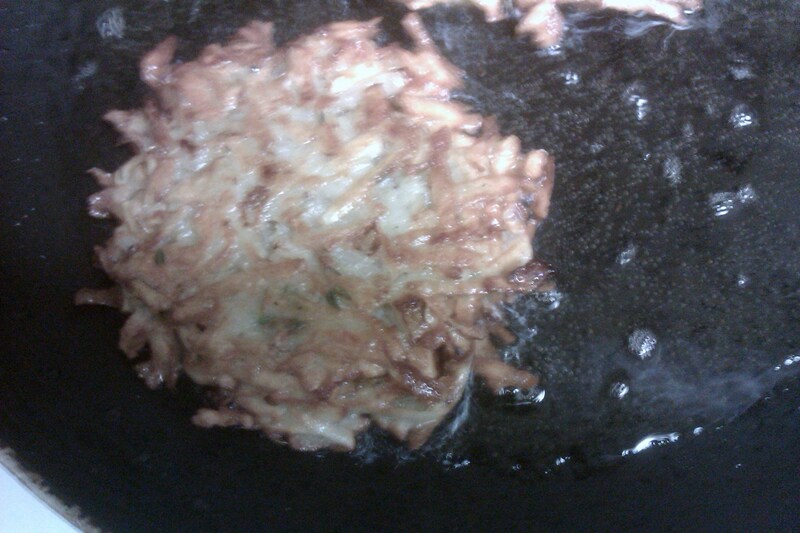 I love latkes. There, I said it. These were crispy and warm. I kinda wish that I added more thyme but these were still freaking fantastic! After the latkes I made these. And yes, I ate half of the dough. And tomorrow you get to see where I brought the cookies! Tomorrow I have a 6 hour long Critical Race Theory final which I cannot wait to get done. Hope everyone had a good weekend! 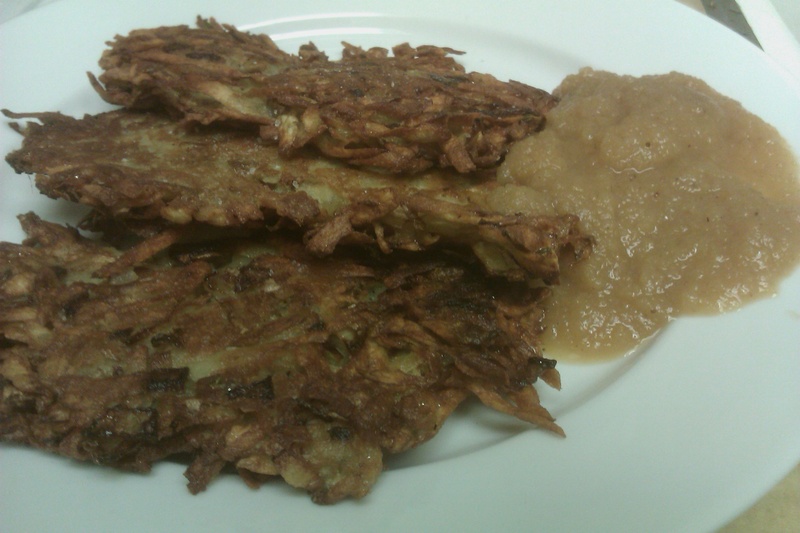 my mom’s potato pancakes were always a special holiday-season treat in my house. i’ll definitely have to remember to ask her to make them when i go home for christmas!! I am shocked that you didn’t go to Jerry’s Deli for latkes! 😉 I assume you got the UCLA email about their health mishap – gross! Hope finals are going really well!